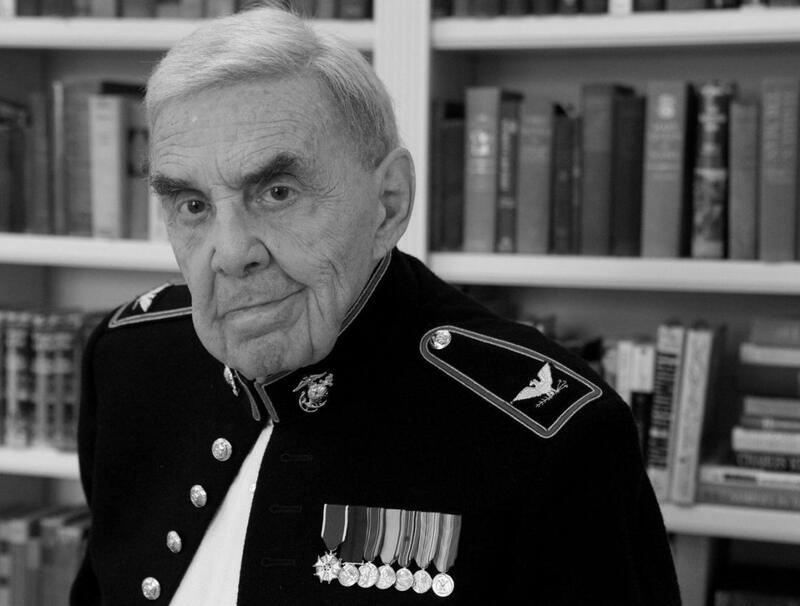 LOS ANGELES - Nov. 29, 2017 - PRLog -- Decorated Retired Marine Colonel Ernest Frankel, 94, may walk a little more slowly, but when it comes to writing he hasn't changed his pace. Along with decades of writing scripts for TV, he is also the author of three published books ― Band of Brothers (Macmillan); Tongue of Fire (Dial Press), and the meticulously researched 660-page historical novel, Gateway to Everywhere (Hither Lane Press), which is set in turn-of-the-century Palm Springs. Gateway, published in 2016, has earned Frankel rave reviews and awards. He has been named a Finalist in the Eric Hoffer Book Awards, the Benjamin Franklin Awards, and the International Book Excellence Awards. He also twice became a great-grandfather in this same time period. Frankel followed up on Gateway by re-issuing his tension-filled, 500-page political novel about the Senator Joseph McCarthy era in the 1950s, adding a subtitle: Tongue of Fire: The Story of an American Demagogue (2017, Hither Lane Press). When his first publisher at that time backed out of publishing the book because of threats from McCarthy, Dial Press stepped in, published it; it did well. Why did Frankel just re-issue it? "In today's hot political environment, too many younger readers don't even know who Joseph McCarthy was. They should," Frankel says. Ernest Frankel's work is included in Van Wyck Mason's Anthology of American Literature. A member of the Writers' Guild and the Directors' Guild, he has worked with CBS, ABC, NBC, independent production companies and the major studios, serving as creator, writer, executive story consultant, line producer, and executive producer on both series and movies-for-television. Military Career: Enlisting in the U.S. Marine Corps in 1944, Frankel led a rifle platoon of the First Marine Division in Okinawa, the last and bloodiest battle of the War in the Pacific. After the War, he was ordered to North China and stationed in Tentsin, with his duties taking him to Peking and Taku—three of the locales revisited in Gateway to Everywhere. He was recalled to active duty during the Korean War and again during the war in Vietnam on special assignment. He was awarded the Legion of Merit by President Gerald Ford. GATEWAY TO EVERYWHERE by Ernest Frankel. ISBN: 9780692755266; Hither Lane Press, 660 pages. Available through Amazon.com, BarnesandNoble.com and Kindle. TONGUE OF FIRE: The Story of an American Demagogue by Ernest Frankel, ISBN: 9780692898307; Hither Lane Press, 500 pages. Available through Amazon.com and Kindle. Ernest Frankel can be reached through his daughter, Elin Schwartz, at elinschwartz1@mac.com. Actor Charles Bronson's First Wife Wins 2013 Book Publicists Awards for "Most Inspirational Memoir"